One sword takes anywhere from six to eight months to produce using traditional Japanese methods. Shinken swords are properly balanced, very sharp and flexible, and they have a "nioi" along the entire length of the blade. 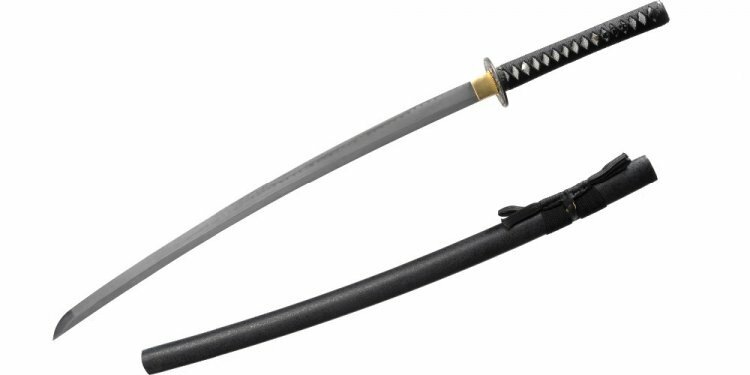 The nioi is a wavy line made during the process of forging the sword. Authentic Shinken swords are used by sword masters for training or for cutting practice at a dojo. The Japanese Sword Museum features rotating exhibitions, including swords from various eras of history and culturally important swords from the country. The museum occasionally hosts conventions and sword forging competitions. In the United States, the Imperial Forge boasts 1, 000 "limited edition" katanas that have more than 16, 000 layers and 14 folds of carbon steel. The blade length is 29 inches and has a weight of 2 pounds, 10.5 ounces. These swords are handmade with a 5.5-inch balance point, and they have an overall length of 42.25 inches.